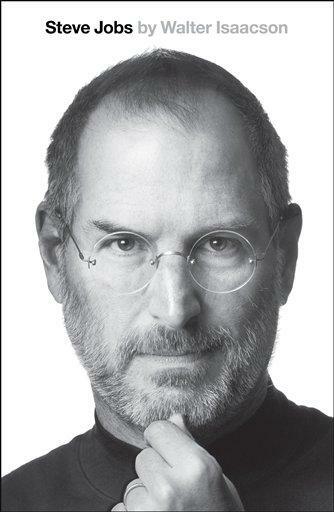 The unfortunate death of Steve Jobs, Apple’s former CEO who succumbed to pancreatic cancer some two weeks ago, has led an inevitable surge in the interest in his first (and only) official biography, compiled by Walter Isaacson. With the release date having been pushed forward, sales are expected to be huge, and it would indeed be a fitting tribute if it were competing sales wise with the iPhone 4S – the latest protégé of Jobs’ legacy. Indeed, the anticipation level – which has gotten Sony keen to seal the rights for a motion picture – is comparable to that of an iPhone or iPad release, right down to the bootleggers in China keepin’ it real fake and excerpts leaking earlier than the release date. Sound familiar? The leaks insight Jobs’ relationship with Jony Ive, the fruit company’s head of product design, whom he described as his "spiritual partner" with "more operation power" at Apple than anybody besides himself. Indeed, Apple has been set up in such a way that design is the focal point, so Jobs and Ive’s internal allegiance has always been central to that. One suspects that if Apple is to maintain the design flair and innovation post-Jobs, Ive will need to be central to that. The Jobs-esque ideal of keeping things thinner, lighter and slicker will need to be maintained if the Cupertino company is to keep its gravy train on the right track. Other interesting passages from the book include Jobs’ anger towards Google and Eric Schmidt after HTC released an very iPhone-like device running Android. Jobs went as far as to consider Google’s actions "grand theft," and so began the string of lawsuits which have now drawn a very prominent wedge between the two rivals. The book will undoubtedly be an engrossing read, and you can pre-order it on iBooks or Amazon by simply heading over to this link.